The home of champagne itself, France is a country that is also synonymous with the finest of wines. 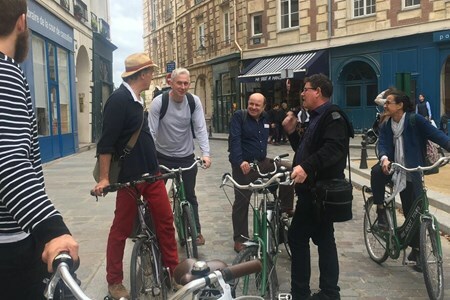 Wine tasting tours and experiences in France will enable you to explore vineyards that are steeped in history, to sample deep glasses of Cotes du Rhone, delightful reds from the Loire, and full bodied Piqpoul de Pinet to name a few. Though the vineyards of Montmartre past were considered to be among the best in Paris, the Clos Montmartre today is more of a novelty than a quality wine producer. The vineyard dates ... morefrom 1932 and produces about 1000 kilos of grapes each year from as many as 27 different varietals. The annual harvest is the occasion for a highly spirited neighbourhood festivity that evokes a kind of village fête. 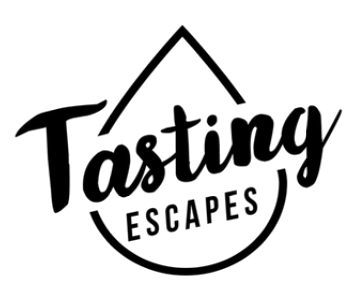 Historical, cultural, tasting tours that walk you through the vinous history of Paris... discover the wine background of the quarter and savour a themed wine tasting in the very best wine cellars in the city. History comes alive as we tread upon the ancient soils of Paris' forgotten terroirs. 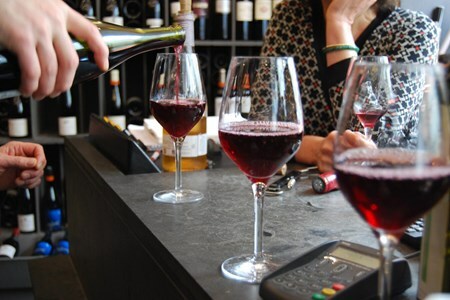 Morning tours feature wine tastings and optional lunches in select wine bars, while afternoon tours offer wine tastings and optional aperitif wine bar dishes, some tours combining visits to open markets, bakeries, cheese shops or specialty food shops. Our choice of wine bars and wines offer natural, living wines made organically and biodynamically - wines bursting with real taste. 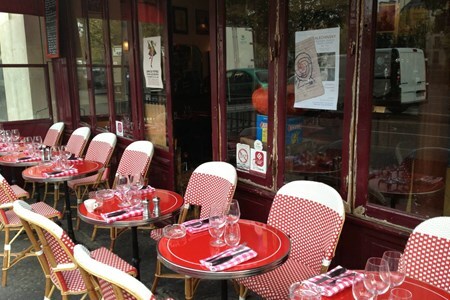 Paris' most famous wine producing vineyard in one of its most visited neighbourhoods. Closed to the public, this exclusive visit includes a comprehensive history of the 'clos' and a tasting of the very rare wine it produces. This hidden vineyard in Paris in Joseph Mignaret charming garden in the heart of the Marais is truly a surprising discovery. The 'Marais', which means swamp, drained in the 12th century, primarily produced market vegetables, but there were vines here too. An extensive vineyard attached to the Hotel Royal Saint Pol produced wines in the Middle Ages, so the history of the vine here is as old as the quarter's history. Join us for this exceptional visit and explore another the role these vines still play in this urban Parisian setting. An exclusive wine tasting reflecting the flavors of the varietals planted here with a wine-bar lunch to complete this unique outing. Left Bank history comes alive in this unique wine walk in Paris. One of Europe's oldest parks, the National Botanical Gardens of France was created in the 17th century on land that was used for mass graves during the plague. In 1635 it became the King's vegetable garden, which led to it becoming the focus of botanical research and the home to naturalists from around Europe. The vineyard, planted with Pinot Noir, Chardonnay, and Gamay, does not produce wine but provides a link with the earliest studies in ampelography as well as a scientific laboratory of viticultural study. Join us for a walk through this unique haven of beauty in France paired with a varietal tasting of vines planted in the Jardin des Plantes in a local wine shop. Transmitting a tradition... 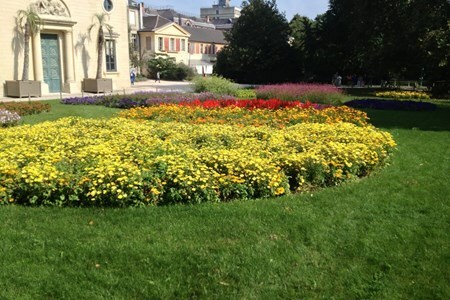 In the Jardin des Plantes, which has been open to the public for almost 400 years, the tremendous plant diversity in shapes, colors, and perfumes is the support for knowledge dissemination and preservation. The park welcomes you to a unique haven of beauty in France. When you tread the soil of the Jardin des Plantes, spare a thought for those before you... Though scientists and gardeners have shaped the garden, kings, queens, damsels, dandies, great ladies and turbulent children have admired the proud and protected nature of the only botanical garden in the capital, which is also classed as a historical monument. But one visit is not enough to discover all the secrets of a place that could become your favorite walk. There are 250 vines in the Ecological Garden of the Jardin des Plantes (planted in 2003), representing the 3 main grape varieties, Gamay, Chardonnay and Pinot Noir most commonly planted in the Ile de France. There are also a few French / American hybrid vines of Baco (a cross between Folle Blanche and Noah designed to resist phylloxera planted widely in Gascony for brandy production - Armagnac and Cognac) as well as Noah, derived from a Vitis Labrusca or Fox Grape. 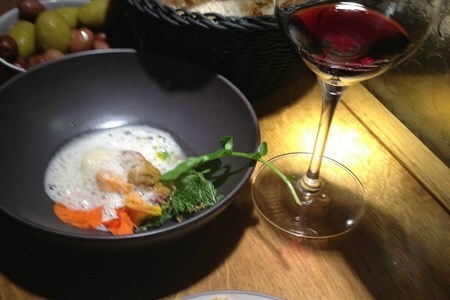 A moderately cold resistant varietal, Noah is used in wine production most notably for Uhudler (an Austrian wine) and Fragolino (a sparkling red Italian wine). Philippe Barré, the gardener responsible for the vineyard, reminds us that the plateau of the Ile de France (the Paris region) was among the most viticulturally active areas of France. The objective here is not to produce wine, but to study the symbiotic relationships between the vines and the biodiversity around. For this reason, all ‘foreign’ plants are allowed to grow among the vines and the soil is worked superficially by mowing the diversity of plants growing between the rows. Insects are encouraged as they play determining roles in the health of the vines while others serve to control those that cause harm. There are also a few wild vines that have been allowed to climb into the neighboring trees, which have now reached a length of several meters, reminding us that grape vines are creepers and when allowed to grow unchecked, will grow to amazing lengths. 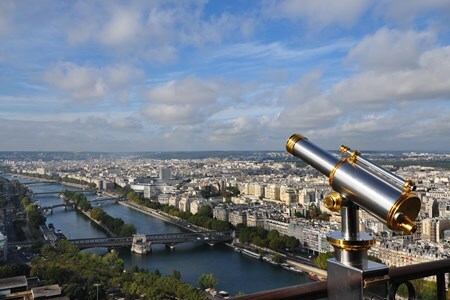 From the vineyard of the National Botanical Gardens to the site of the Abbey Saint Victor, the Halles aux Vins, and the Roman Arena, this exceptional walk offers an enchanting vision ... moreof Paris. The Jardin des Plantes is often unfortunately missed by many visitors coming to explore Paris, and yet this side of the Latin Quarter offers some of Paris' greatest treasures. Left Bank history comes alive in this unique wine walk. One of Europe's oldest parks, the National Botanical Gardens of France was created in the 17th century on land that was used for mass graves during the plague. In 1635 it became the King's vegetable garden, which led to it becoming the focus of botanical research and the home to naturalists from around Europe. In addition to an in-depth discussion of viticulture and a comprehensive historical background of the quarter, this walk includes a tasting of 2-3 organic and biodynamic wines and a delicious French bistro lunch. This less visited side of the Latin Quarter was once covered in vines and host to Paris’ left bank wine depots. Join us for an in-depth discovery of its secrets, around glasses of ... moreliving wines and savory seasonal dishes. The Jardin des Plantes is often missed by visitors to Paris, and yet this side of the Latin Quarter offers some of Paris' greatest treasures. Left Bank history comes alive in this unique wine walk. One of Europe's oldest parks, the National Botanical Gardens of France was created in the 17th century on land that was used for mass graves during the plague. In 1635 it became the King's vegetable garden, which led to it becoming the focus of botanical research and the home to naturalists from around Europe. The vineyard planted with Pinot Noir, Chardonnay, and Gamay, does not produce wine but provides a link with the earliest studies in ampelography as well as a scientific laboratory of viticultural study. Join us for an in-depth discussion of viticulture and the quarter's vineyard history followed by natural wine tasting with small shared plates. Discover the vinous spirit of medieval Paris with this unique walk. After strolling through this beautiful historic neighborhood, and refreshing ourselves with a wine tasting, what ... morecould be better than an array of inventive dishes to stimulate the palate? It would be a stretch to call the ten Gamay vines from Julienas in Beaujolais that are planted in the little park next to the church of Saint-Germain-des-Prés a vineyard, but their presence connects us to the medieval gardens and the fields that once surrounded the church. This discreetly modest vineyard with its roots in the same soil that gave life to wines in the Middle Ages affords us the opportunity of sensing the spirit of place in one of Paris' oldest and most renowned quarters. Walk, talk, think, clink, drink, and eat! Discover the vinous spirit of medieval Paris with this unique walk. After strolling through this beautiful historic neighborhood, what could be better than refreshing ourselves with ... morea wine tasting! Enjoy a guided food tour around Normandy taking you beyond Mont Saint Michel and the infamous WW2 landing beaches. To the French - Normandy is the region of France that represents ... morethe good life. To the French, Normandy evokes green pastures, grazing cows, lush grass, gentle hills blossoming trees ... Normandy is an extremely picturesque region. And they are right! Normandy is home to the world-famous Camembert cheese. Camembert is a soft cheese which name sounds like it tastes. According to your pallet, it can be gentle and bubbly to sharp and rough ... just exquisite! 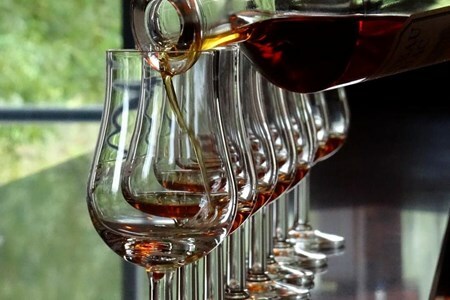 Normandy is also home to Cognacs cousin: Calvados. An apple brandy aged in oak barrels. 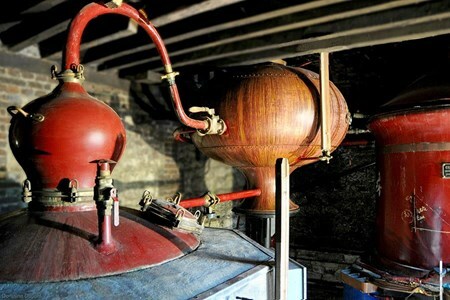 Calvados is made by apple cider distillation. 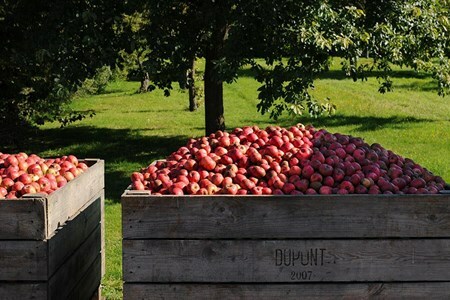 Cider is made with apple juice; apples locally grow in apple orchards throughout the hills of Normandy. Our tours take you to the heart of Normandy to discover these local products. You will meet the locals that produce these products and taste lots of these exquisite French culinary products! The best way to discover Normandy is with this full-day guided food and brandy tour of the picturesque western French region. During the morning you will be introduced to Camembert ... morecheese. We will go to one of the last two standing farms making Camembert cheese. 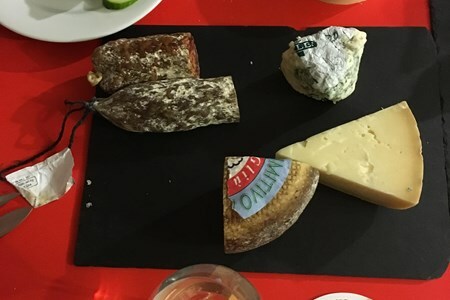 You will have the opportunity to taste various cheeses from Normandy, and see the production, starting with the cows ... by the end of the tour, you will know more about the production of Camembert cheese than most French do. We will have lunch in a local village enjoying local products such as seasonal salad, andouille, baguette, teurgoule, butter, cheeses and of course cider. After lunch, you will be guided to various farms and estates where local hard apple cider and calvados brandy from Normandy are made. You will even try brandy up to 45 years old. The final stop of the tour will be to one of Frances nicest villages. You will for sure leave this tour knowing all of Normandy's gems! Paris, City of love and romance!! Paris capital of France. The Eiffel tower, le Louvre, Notre-Dame... That is all good but it is not real France!! Paris is part of France France is ... morenot Paris!! Our country has so much to offer. Cheese and wine are the keystone of French culture!! Why not going out of the husslte of the city and enjoy Normandy food and cider for one day on a guided tour? In order to make your journey in Normandy easier, we pick you up in the morning at your hotel in Paris, and take you on our guided tours. We drive you back in the evening to your hotel in Paris. If you are staying a little longer in Normandy to see the landing site of D-day, we take you to your hotel. 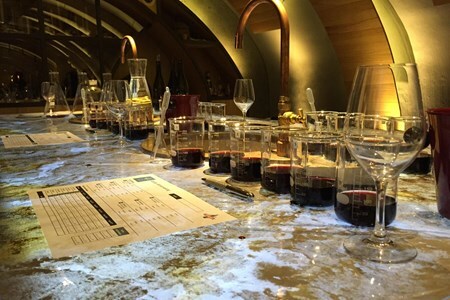 Wines, local cheeses or fine chocolates 2 tastings - 8 to 12 wines including Premier cru Highlights Tasting of Great Burgundy Wines in a vaulted cellar. Selection of red and white ... morewines, including Premier Cru, paired with local cheeses or fine chocolates. Food and wine matching suggestions. Stop for croissants and a breathtaking view over the Corton Grand Cru hillside in the Côte de Beaune, a unique site in Burgundy for red and white Grand Cru wines. Enjoy a getaway in the heart of the Médoc to discover Margaux's Great Growth Châteaux! 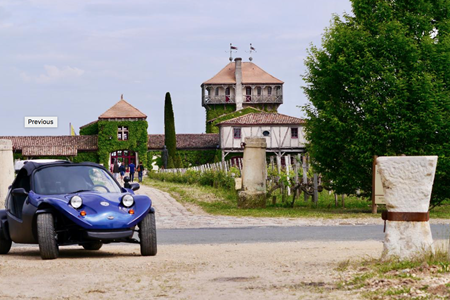 Drive along charming small roads that follow the banks of the Gironde Estuary and take the legendary ... more“Route des Châteaux” towards Margaux. 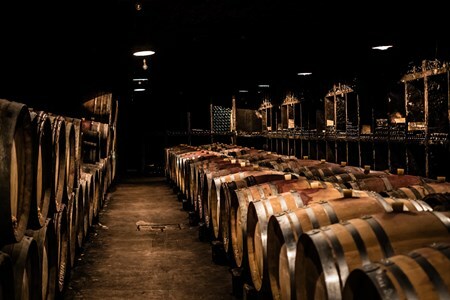 Open the door of a 1855 "Grand Cru" property and discover the secrets of wine-making. The visit will conclude with a wine tasting of course! Your cabriolet, equipped with a multimedia tablet-guide, is a storytelling car that offers quality commentaries all along the way. Relax, your tablet comes also with a GPS that will take you to your destination. Bring along some friends for an even more enjoyable experience. You can book several vehicles, and thanks to the “flotilla” mode, your cabriolets will be connected and their position indicated on the tablet. 6:30 pm: Arrival in Bordeaux. 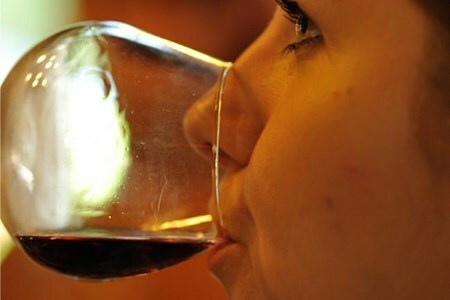 Visit 2 Châteaux with wine tastings Discover the prestigious Châteaux of the Médoc region! 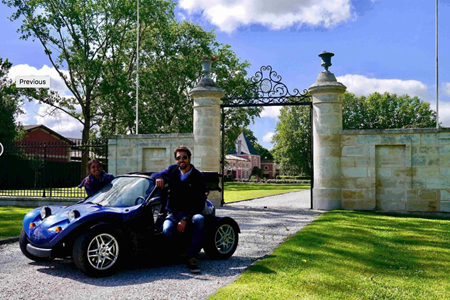 You will drive along small roads by the Gironde river to reach the legendary "Route des Châteaux", ... morethrough the prestigious Margaux, Pauillac, and Saint-Julien appellations. A 1855 Classified Great Growth estate and a charming family property will welcome you for a wine-tasting visit. 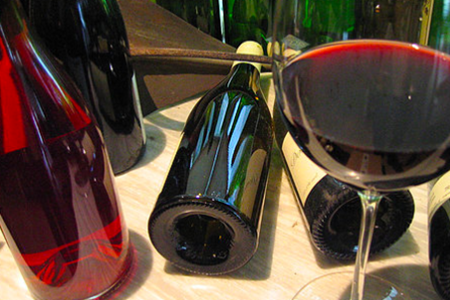 You will learn all the secrets of wine-making and of course taste their wine! Your cabriolet vehicle is equipped with a multimedia tablet-guide that offers quality commentaries, great history and anecdotes all along the way. Relax, your tablet is also a GPS that will take you to your destination, so that you never get lost. 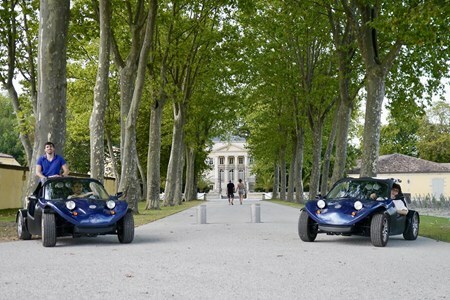 1 visit of a medieval castle, or wine château At the wheel of your cabriolet convertible, take a drive through the "Graves" countryside, Montesquieu's native region (world famous philosopher ... moreand politician). During this getaway, you can choose between a guided visit of the "Château de La Brède" - Montesquieu's home - and a wine-tasting visit of a Classified Great Growth Château. Discover at your own pace the Graves wine region, dotted with family estates as well as with the most prestigious "Pessac-Léognan" names. You are guided but free to make stops or detours as and when you please. Our vehicles tell stories as they are equipped with a multimedia GPS tablet guide. More than mere vehicles, they offer an unparalleled tourism experience, for fun and interactive getaways.